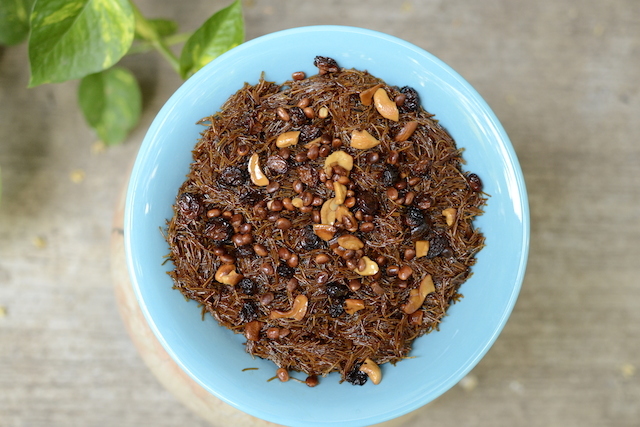 Go to a Parsi household on any auspicious day and along with the Dhandar-Patio you will always find a bowl of Parsi Sev which is traditionally served with sweet yogurt (mithoo dahi). From birthdays to jashans and from weddings to just a family get-together, the Parsi Sev will always hold a pride of place on the table. 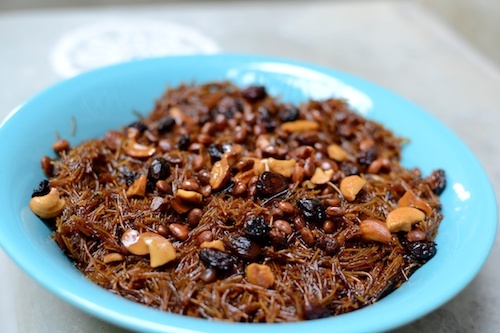 Made from roasted vermicelli – most Parsis globally exclusively use the Elephant brand – and topped with fried raisins, cashews and almonds, this sweet treat can be had for breakfast, lunch or dinner or tea-time or any other time that the tummy gives a growl. #BawiMummy in New Zealand is a total Sev expert. Whenever there is a Jashan or birthday at a friend’s house she is entrusted with making the Sev and she recently made about 2kg of it for my aunt’s wedding! Encouraged by her recipe’s popularity, I asked #BawiMummy for the recipe and she cautioned me that , “While Sev only had two ingredients, much like a basic risotto, the one ingredient needed in abundance is patience”. Hurry while making Sev and you risk it turning into a sticky lump or what us bawas call ‘Londo’. This warning of course meant that I could only try out her recipe when the in-laws were out and #BawaGroom was the only lucky guinea pig available. 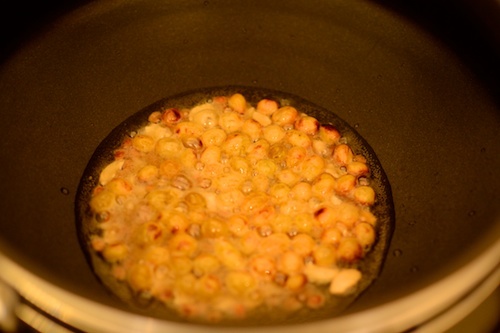 In a non-stick pan, heat the ghee/oil until it is hot and fry the dry fruits until golden brown and the raisins are puffed. Keep a close eye as it only takes 20 seconds too long for the dry fruits to burn. 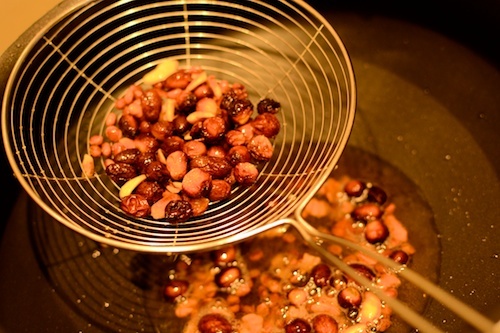 Strain the dry fruits and remove as much oil as possible. Let these cool on a plate lined with paper towel. 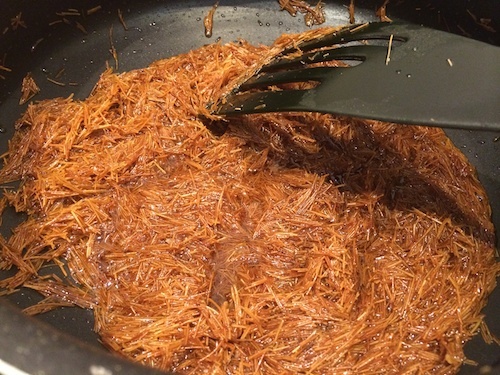 In the same pan, add the vermicelli and sugar. 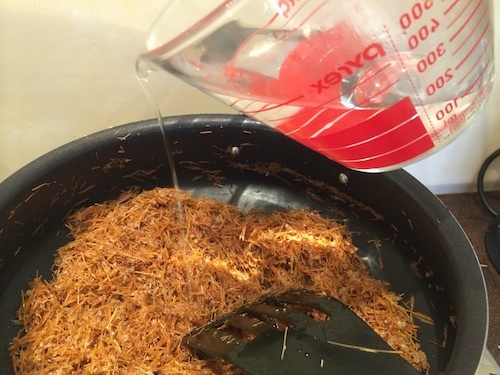 Dry roast this mixture on a slow flame until the sugar starts melting and all the ghee is absorbed – about 5 minutes. Now, add about 1 cup of the luke-warm water and stir slowly. Let the Sev cook until the water is absorbed ensuring that the flame is low. However, you don’t want the Sev to form lumps so keep stirring every 2 – 3 minutes. When the water has dried up, add another 1/2 cup of water and stir. Cover the pan with a glass lid and keep checking on it every 2 – 3 minutes. 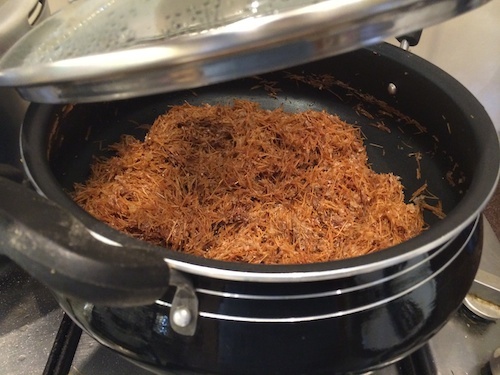 The moment you leave it alone, it will over-cook – the Parsi Sev is quite a demanding little child! After another 10 minutes, check whether the Sev has cooked. 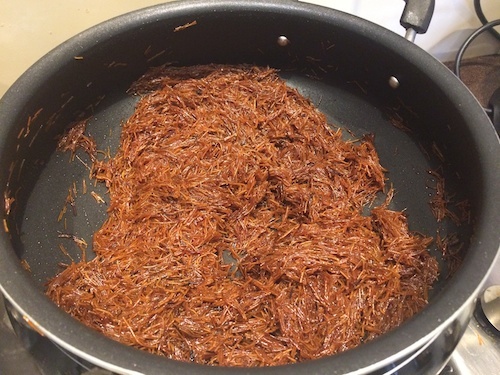 If not, add the other 1/2 cup of water (not too much so it becomes a lump) and let it cook for another 5 minutes – the sev must be soft and not crunchy at all. Also, the water must all be absorbed. 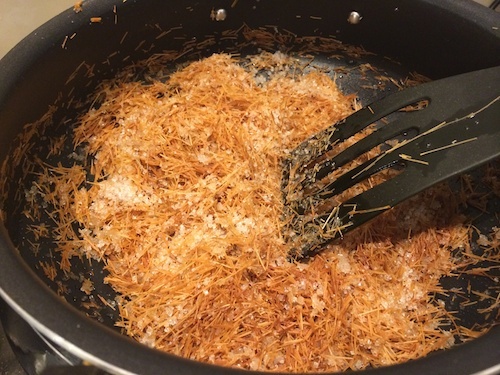 Remove the Sev onto a nice plate and garnish with the fried nuts. Serve the serve warm with cool mithoo dahi. Your site is the best one I have come across till now. The illustrations are just perfect and the explanation is absolutely user frdly. I have tried a few and have turned our quite nice. 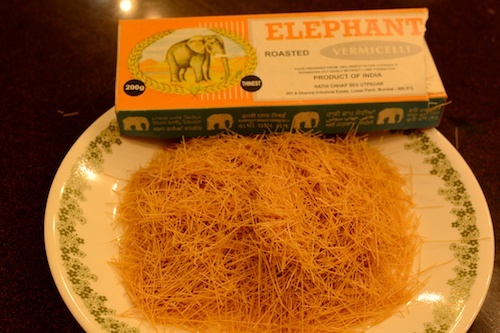 Comment on your Sev recipe….in ur ingredient list u have mentioned Vanila essence & Elaichi-Jaifal powder but there is no mention of these 2 ingredients in your method how come. Does one still have to stir every 2-3 mins when the vessel is covered with a glass lid? I didn’t. I just opened the lid and checked. The trick with sev is to put very little water at a time let it steam and then stir and then repeat. If you ended up with lumpy sev it could be because you added too much water at once. Another trick is to prepare sev the day before and once it is cool, you can separate out the lumps by hand (gloved ofcourse) as well and then store for eating the next day.